Mr Thomas Young is the first teacher in Monifieth of whom there is any record having been elected on 18th November 1599 . In 1600 the Kirk Session of Monifieth agreed that the school master should be upheld by the Parish. The funding for this responsibility was funded by the owner of each plough paying forty shillings and every farmer twenty shillings. Later a charge of two shillings for every baptism and forty pennies for a wedding. The Old School and school house were cleared away in 1878 and the NewSchool erected on the site. It was designed by Mr David Mclaren (Architect) Dundee. In 1907 A second storey was added to accommodate 500 pupils. 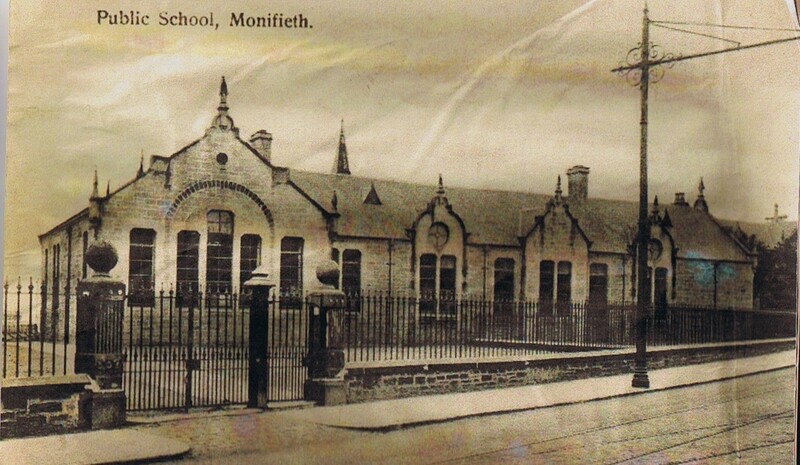 The parish was entirely dependent on Monifieth School for its educational needs . In 1782 Sir Alexander Ramsay Irvine founded a school at Drumsturdy. In Monifieth the Erskine Female School in Brook Street`s first teacher was a Mrs Paul, followed by Miss Margaret Low (later Mrs D Carmichael) sister of James F Low, Ironfounder. Reference has been made to it being the `Penny School`. In 1878 the school was closed and the teacher Miss Sinclair transferred to Monifieth Public School. In 1898 the building was sold having served as a Mechanics Institute and Salvation Army Citadel during the twenty years from the school closure. On 12th June 1898 it became the Church of St Bride and a place of Divine worship for those of the Roman Catholic faith within the district. This entry was posted in Names and tagged John Knox, penny school, St. Bride's, Thomas Erskine, Young. Bookmark the permalink.